Mary Helen Acosta joined the St. Gabriel’s Catholic School family in 2017 as Dean of Students for the Middle School. Along with a passion for literacy and whole child development, Mary Helen brings over 12 years of experience in student and educator support. She is deeply committed to St. Gabriel’s unique approach to developing equally students’ character, scholastic excellence, and social and emotional learning. 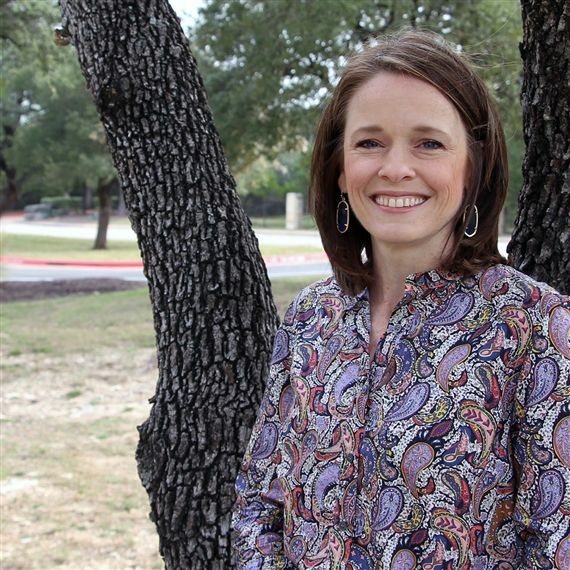 Mary Helen’s career began in 1996 as an English & Journalism teacher at St. Agnes Academy in Houston. She has held subsequent roles at the university level providing academic advising to students, and professional development for pre- and in-service educators in the area of academic writing instruction. Mary Helen is a certified teacher in Texas and holds a BA in English from Rice University, an MPA from Texas A&M, and is working on an MEd in Curriculum & Instruction. After living in four of Texas’ major cities over the last two decades, Mary Helen returned to her hometown of Austin with her husband and daughter, where they still enjoy many of the “Austin Originals” including the Zilker trail, canoeing on Lady Bird Lake, volunteering as a foster family for the Town Lake Animal Shelter, and eating Amy’s ice cream.